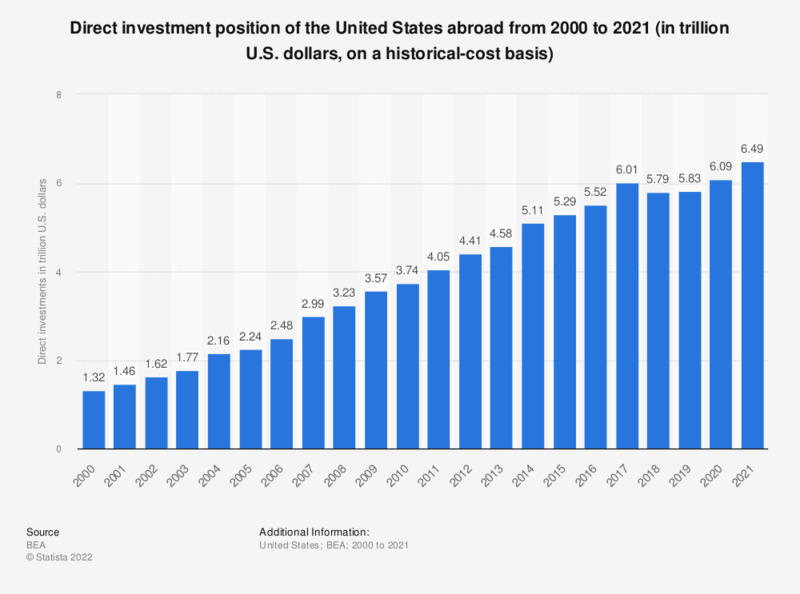 This statistic shows the direct investment position of the United States abroad from 2000 to 2017, on a historical-cost basis. In 2017, the U.S. investments made abroad amounted to approximately 6.01 trillion U.S. dollars. Foreign direct investment (FDI) reflects the ownership of business from one country in another country. It differs from a traditional investment in companies located abroad by the ownership factor in case of FDI. The countries which received the largest amount of foreign direct investment from the United States in 2017 were the Netherlands, the United Kingdom and Luxembourg.